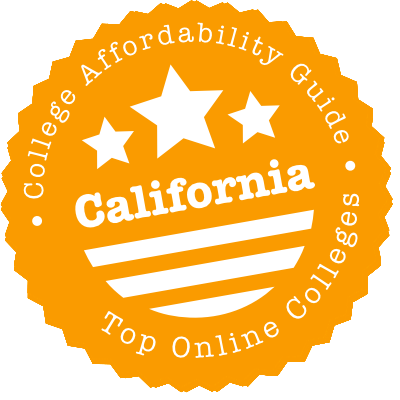 Scroll down to see the top not-for-profit colleges and universities in California offering online degree programs. National University specializes in teaching adult learners, and its features, such as a one-class-per month format, are designed to meet the needs of nontraditional (education speak for "not between 18 and 23 years old") students. One way National University reaches nontraditional students is through a wide array of programs that can be completed online. National has more than 100 online programs, ranging from an associate degree to master's degrees and advanced certificates. Available fields include technology, business, education, and health sciences. In late 2017, Washington Monthly created its first-ever ranking of Best Colleges Serving Adult Learners, and National University ranked No. 1 in Southern California and No. 18 in the U.S. Almost every program Brandman University offers at its campuses is also available as an online degree. The college, whose online bachelor's programs were ranked best in the U.S. News rankings from 2012 to 2016, designs its online courses for adult learners. Online nursing programs include RN to BSN and BSN to DNP in three specialties. Educators can earn master's degrees in fields such as counseling, educational administration, and instructional technology. Teachers can also gain authorizations such as special education or English learners. Business students can gain a bachelor's degree in more than a dozen fields, or an MBA in nine specialties. Brandman also grants bachelor's degrees in criminal justice and legal studies. More than 80 programs in 13 fields of study are available online from the University of Southern California. The Master of Science (MS) in Geriatric Dentistry is a blended program that requires residents to attend a face-to-face summer session to complete a Knowledge Assessment process and undergo practical training. Students pursuing the MS in Computer Science program can choose from the following specialization areas: computer security, data science, multimedia and creative technologies, scientists and engineers, and software engineering. A Graduate Certificate in Software Architecture is also available. USC has an extensive graduate program in the field of engineering, technology, and science, which includes MS degrees in aerospace, mechanical, astronautical, biomedical, civil, computer, and electrical engineering. Additional MS degrees are available in gerontology, geographic information science and technology, regulatory science, management of drug development, applied psychology, and social work. In addition to several graduate certificate programs, Master of Public Administration (MPA), Master of Public Health (MPH), and Master of Business Administration (MBA) degrees are also available online. USC online students are eligible for the same financial aid programs as on-campus students, such as the Provost's Graduate Fellowship, graduate assistantships, and various USC scholarships primarily for low-income, under-represented, and minority students. Foothill College offers 14 Associate in Art degrees and one Associate in Science degree through completely online classwork. Most of these programs require students to complete at least 90 credits and are designed for students who want to transfer to a college or university to finish their bachelor's degree. All associate degrees include some courses that meet general education requirements and some courses in the major. The number of major credit units varies widely by curriculum for the major, from 30 units in sociology to 58 in graphic and interactive design. While courses are offered online, students may have to go to campus or to an approved testing center near their home to take proctored exams. U.S. News & World Report rated CBU Online as No. 23 in its 2015 Best Online Bachelor's Degree category. CBU offers more than 45 undergraduate and graduate degrees delivered completely online or in a hybrid format. There are currently 15 Bachelor of Arts (BA) programs available online, including Christian ministries, graphic design & digital media, communication studies, organizational leadership, psychology, public relations, and sociology. Bachelor of Science (BS) programs are offered in the following disciplines: accounting, computer information technology, criminal justice, kinesiology, marketing, and public health. The Master of Business Administration (MBA) degree is designed to accommodate both part-time and full-time students, and features concentrations in accounting and general management. CBU offers four Master of Arts (MA) programs (communication, disability studies, organizational leadership, and public relations) and two Master of Science (MS) degrees (accounting and counseling psychology). Students interested in pursuing an MS in Education degree online can select from specializations in educational leadership, early childhood studies, or teaching. Both Master and Doctor of Public Administration programs are available. CBU students pursuing their degrees online may be eligible for the Federal Pell Grant ($616 to $5,775 for the 2015-2016 year), Cal Grant A ($9,084) or the Cal Grant B ($1,656). CSU Fullerton's online Master of Science (MS) in Information Technology program, offered by the Mihaylo College of Business and Education, is ranked No.1 in California and No. 6 in the country by U.S. News & World Report (2015). The MS in Software Engineering program is another top-ranking online offering from the university. U.S. News & World Report places it at the No.16 slot in its Best Online Engineering program list. All classes are recorded and archived to give students full access to lectures and material at a time that is most convenient for them. The university offers additional MS programs in the following fields: education technology, elementary curriculum and instruction, environmental engineering, information technology, reading, secondary education, instructional design and technology, and statistics. There are two degree completion programs - BA in Business Administration and BA in Sociology. Students are required to have completed their general education requirements before starting either program. Financial assistance options for these programs include the Stafford Loans, Pell Grants (up to $5,775 per year), or Cal Grants. The university offers online certificate programs in a variety of fields, including professional office administration, Perl programming, java development, professional fiduciary management, and geographic information systems (hybrid program). Many of Concordia University's online programs follow a synchronous method of delivery that allows off-campus students to have "face-to-face" time with their peers and professors. Bachelor's degrees are available in business administration & leadership, healthcare management, liberal arts, nonprofit leadership, and organizational psychology. The online master's program in coaching & athletic administration offers four starting dates each year, as well as seasonal intensive on-site sessions. Concordia offers Master of Education (MAED) degrees in curriculum & instruction and in educational administration. Both are cohort programs and only available online, with courses offered in eight-week cycles throughout the year. The MA in Educational Technology degree is only offered as a blended program (30 percent face-to-face and 70 percent online), while the Master of Healthcare Administration program can be completed 100 percent online or via a blended delivery format. An MS in Nursing program (with tracks in nursing leadership and in nursing education) and an MA in Theology complete Concordia's online offerings on the master's level. At the current time, there is one online doctorate degree available - Doctor of Education (EdD) in Educational Leadership. Many graduate students are eligible for the Federal Direct Unsubsidized Stafford Loan Program (up to $20,500 per year). As one of 72 California community colleges, Rio Hondo participates in the Online Education Initiative (OEI) Course Exchange. The purpose of the system is to ensure students can get the courses they need when they need them. But students shouldn't have to rely on OEI courses too heavily. That's because Rio Hondo places nearly 200 classes online each semester. Popular associate degrees are in Fire Technology and Business Administration, and enrollees can find courses in those areas online. Because many Rio Hondo students have their eyes set on university, general education courses are also plentiful. For example, you'll find Math, Spanish and Philosophy sections every term. The Office of Online & Extended Education at IVC doesn't offer any fully online programs, but it's committed to growing its catalog of distance learning courses. It currently reaches students in 40+ programs. That covers coursework from Beginning Japanese to Intermediate Algebra. Computer Information Management classes are especially well-represented. But the two-year college also makes it easy for students to accumulate general education credits online - and use them. Out of 114 California community colleges, IVC has the highest transfer rate to four-year schools. The Chicago School of Professional Psychology has about 40 online programs in fields including psychology, applied behavior analysis, and public health. Online students can choose from three bachelor's programs, 26 master's programs, and nine doctoral degrees. Three certificate programs are also delivered via online coursework. Many programs have full-time and part-time options. Most course content is delivered in an asynchronous format, but some classes use videoconferencing to allow students to communicate with peers. For most classes, students typically only need to be online at a set time for one or two hours per semester. The Chicago School also supports online students with a staff of trained advisers and career services division to help grads find a job. California State University East Bay has five bachelor's programs and four master's programs available online. Many of the programs have multiple concentration options to meet the needs of a broad range of students. Undergrad degrees are designed as degree-completion programs for students who have already completed lower division coursework. Available degrees include ethnic studies, human development, and hospitality and tourism. Master's degrees include educational leadership and health care administration. CSU East Bay's online degrees were listed in the top 15 percent of programs surveyed by U.S. News for its 2017 rankings. The magazine cited factors such as how well the East Bay faculty is prepared for online teaching and the technical and financial support online students receive. Golden Gate University offers a wide range of master's degrees, bachelor's degrees, and certificates in a completely online format. Most of the online programs are business and management degrees or certificates, including international business and supply chain management. Other online programs include public administration and psychology. Golden Gate University is dedicated to teaching adult learners, and the college ranked as the No. 1 School for Adult Learners in Washington Monthly's 2017 College Guide. The college received high marks for ease of transfer, number of students older than 25, and median earnings of its graduates. The distance learning program at California State University Dominguez Hills is the largest in the CSU system, offering students six master's programs, three bachelor's programs, and a range of certificates in technology, business, and education. Online master's options include negotiation, business administration, and public administration. Nursing and quality assurance degrees are available at both the bachelor's and master's levels. The college's online nursing program was listed on the 2015 U.S. News and World Report rankings of best online programs. The nursing program was also honored by NurseJournal.org, which gave it the highest score of all programs in the West, based on metrics such as affordability, quality, and convenience. La Verne College offers online programs aimed at adult learners, whether they are returning to college to complete a degree or are experienced professionals seeking to advance their career. La Verne is currently authorized to offer online classes only to residents of California. Undergraduate degrees offered online are the Bachelor of Arts in Business Administration, Bachelor of Science in Organizational Management, and Bachelor of Science in Public Administration. Undergrads may take up to eight semester hours per term, and they have seven years to complete their degree. La Verne accepts transfer credit and awards credit for standardized exams such as the CLEP. The Online MBA is designated for experienced professionals, who are defined as individuals who have at least three years of professional experience, and applicants do not have to have been business majors. MBA concentrations available online include finance, management and leadership, and marketing. Gtraduate students are required to complete all the work for their degree within five years of taking the first class for the degree. Touro University Worldwide offers programs at all levels from associate to doctoral degrees. Most programs are in the School of Business and Management and the School of Health and Human Services. The business school has a bachelor's program, MBA, and master's in fields including public administration and dispute resolution. The School of Health offers degrees in fields such as social work, health care administration, and public health. The School of Psychology has a bachelor's and master's in psychology and a Doctor of Psychology in Human and Organizational Psychology. The School of General Studies grants an associate degree and offers classes so undergrads can complete general studies requirements. TUW delivers classes in eight-week terms, with six terms per year. Azusa Pacific University offers almost three dozen online programs, ranging from associate degrees to master's degrees. The online content is delivered asynchronously, giving students the option to do the required work at a time that is convenient for their schedule, as long as they meet deadlines set by the instructor. Online students have access to a technical helpdesk and can access typical resources that on-campus students have access to, such as the library, writing center, and academic support. Associate degrees available online include Associate of Arts and Associate of Science in Health Sciences. Online students can earn a bachelor's degree in subjects including applied psychology, applied studies, criminal justice, health sciences, leadership, liberal studies, management, organizational leadership, or nursing (bachelor's completion program for registered nurses). Online options for master's degrees include art education, educational leadership, educational technology, leadership and organizational studies, public health, leadership, business administration, business management, psychology, school librarianship, special education, or TESOL. Azusa Pacific also offers a variety of online programs leading to certificates or credentials for teachers, nurses, and managers. Hope International University offers online degrees from the associate through graduate level. Students work with an academic coach who helps them select a schedule that will meet their academic goals, answers questions, and otherwise helps steer them toward success. The online Associate of Arts allows students to cover foundational classes before entering any of the online bachelor's programs. Bachelor of Science programs offered online lead to degrees in business administration, Christian ministry, and human development. The college also has an online Bachelor of Arts in Liberal Studies: Teacher Preparation program that students can take before entering a master's program that will lead to teacher licensure in California. Online graduate programs include a Master of Arts in Education Administration with preliminary administrative services credential and a Master of Arts in Ministry with concentrations in biblical studies, Christian leadership, church planning, missions, pastoral care, spiritual formation, or worship. Teaching credential programs - including preliminary single subject and preliminary multiple subject credentials - are also offered online. Applicants to Hope International's graduate programs must have a bachelor's degree with a GPA of at least 3.0. The College of International and Extended Studies at San Jose State University offers some online degrees and graduate certificates through its Professional Degree Programs (PDP) office. PDP offers graduate degrees in fields such as business, engineering, biotech, health care, and library services. Some of the programs are delivered in a 100 percent online format, while others meet off campus during the evening. The classes are designed for working professionals who already have a bachelor's degree in a subject related to their career. Courses are delivered in an accelerated format, and student pay by the class. Students are accepted for admission in the fall, spring and summer sessions. Programs offered by PDP include degree programs in biotechnology, medical product development management, public health, business administration, taxation, transportation management, cybersecurity, wireless communication, library and information science, and social work. PDP also has online graduate certificates for students who want to acquire new workplace skills. Online certificates include an Advanced Certificate in Strategic Management of Digital Assets and Services and one in big data. The University of California Berkeley offers a wide range of online courses through UC Berkeley Extension. Although the Extension cannot grant degrees, Extension courses carry academic credit that students can apply towards a degree, certificate, or special program of study. Extension credits can also be used to fulfill certain professional licensing requirements. There are two types of online courses available at UC Berkeley Extension. Continuous enrollment courses are offered throughout the year and students are given a maximum of 180 days to complete the course requirements. Fixed-date courses have specific start and end dates and are offered on a term basis. Students are encouraged to limit their online enrollment to no more than three courses at a given time. Online undergraduate courses are available for both lower and upper division levels. Several departments at UC Berkeley offer online courses ranging from three to more than two dozen each term, including the Department of Behavioral Health Sciences and the Humanities & Language Department. UC Berkeley Extension also offers online certificate programs that do not require a bachelor's degree. At the current time, post-baccalaureate certificate programs are offered online in the fields of writing and in counseling and psychology professions. California State University, Chico, offers several bachelor's degree-completion programs online. Other online options are a Master of Science in Nursing and a Career and Life Planning Certificate. The degree-completion programs are for students who have completed their general studies requirements and other lower-division coursework already. Online classes are presented in a variety of formats, including some classes that live-stream lectures being presented on campus. Degree-completion programs include Bachelor of Social Studies with either a multidisciplinary studies or specialization studies option. The multidisciplinary option gives students a broad background in social science coursework while the specialization studies option includes 24 units from one concentration and 15 units from a second concentration. A Bachelor of Arts in Liberal Studies and a Bachelor of Arts in Sociology are also offered online. Undergrads may enter in the spring or fall semester. Chico also offers a Master of Science in Nursing with tracks in nurse educator and nursing leadership. Nursing applicants should have a Bachelor of Science in Nursing and a GPA of at least 3.0 on their last 60 credits. The three-course Career and Life Planning Certificate prepares counselors for national certification by the National Career Development Association. The Master of Public Administration (MPA) degree at the University of San Francisco is a 13-course program that can be completed 100 percent online. A GRE is not required to be considered for this program. The university also offers an online Master of Public Health (MPH) program that is CEPH-accredited. The MPH degree is an inter-professional degree offered through the Department of Population Health Sciences at the School of Nursing and Health Professions. Students accepted to the program enroll in courses covering a wide range of areas including biostatistics, epidemiology, and environmental health. The university offers an online Master of Science in Nursing (MSN) program with a Clinical Nurse Leader (CNL) focus. The degree can be completed in as few as six semesters. Students who graduate from the program are qualified to sit for CNL certification. Qualified students in clinical rotations in Southern California may be eligible for the CNL Clinical Service Award, which provides a $1,000 annual scholarship. There is a Master of Science in Healthcare Simulation degree that students can complete online in four semesters (18 months). The program has a residency component that requires students to come to the San Francisco campus once each semester to attend a conference. The College of Extended Studies (CES) at the San Diego State University gives students the opportunity to earn the following graduate degrees completely online: M.A. Ed. Education Leadership, M.S. Regulatory Affairs, M.A. Learning Design and Technology, M.S. Hospitality and Tourism Management and Master of Public Administration. To date, there are 17 online certificate programs including an Instructional Technology Certificate and an Advanced Certificate in Instructional Design. The university offers several other online classes and courses for professional advancement, personal enrichment and credit courses for on-campus degrees. CES uses Blackboard as its online learning management system. The School of Leadership and Education Sciences at the University of San Diego offers a Master of Education degree that can be pursued entirely online. Students accepted to this program can choose from the following areas of specialization: school leadership, literacy and digital learning, STEAM (Science, Technology, Engineering, Arts, and Mathematics), inclusive learning (special education and universal design), and curriculum and instruction. These programs are designed for employed K-12 teachers with at least two years of classroom teaching experience. The university also offers an online Master of Science in Cyber Security Operations and Leadership program that can be completed in 20 months, or five consecutive semesters. Students are required to enroll in two 3-credit, 7-week courses offered every semester and complete a one-unit capstone course in order to graduate from the program. Two additional programs - Master of Science (MS) in Health Care Informatics and MS in Law Enforcement and Public Safety Leadership - are also available online. Members of law enforcement, police unions, or public safety associations may qualify for reduced tuition rates if accepted to the MS in Law Enforcement and Public Safety Leadership program. Savings for the length of the program can add to as much as $2,400. Biola University offers a variety of master's programs in education as well as certificates and credentials for educators. The college also has a degree-completion program that leads to a Bachelor of Science in Applied Psychology that is open to applicants who have completed the first two years of college. The undergraduate degree coursework is delivered in seven-week terms. Online coursework in the master's programs is delivered in a traditional 16-week semester, and the format is typically asynchronous so students can participate at a time that is convenient for them. Students are allowed to complete any required fieldwork near their residence. Biola offers Master of Arts in Teaching and Master of Arts in Education programs with the same four concentrations: clear credential, early childhood, special education, and personalized. The personalized track allows students to tailor the program to their professional experience and interests. Other online programs Biola offers educators include special education certificate or credential, curriculum and instruction certificate, early childhood permit for assistant or associate teacher, and California Clear credentials. San Diego Christian College offers two master's degrees, seven bachelor's, and an associate degree in a online format, although students also have the option of taking hybrid classes. All undergraduate classes are delivered in a five-week format. The Associate of Arts in Liberal Studies allows students to choose an emphasis in biblical studies, psychology, communications, or business. The 64-credit program takes about two years to complete. The college offers online Bachelor of Science degrees in aviation management, business management, and leadership and justice. Bachelor of Arts degrees are awarded in Christian ministries, communication, human development, and psychology. Leadership and justice majors have a choice of three concentrations: criminal justice, political science, or homeland security. San Diego Christian College offers an accelerated online option for students interested in a Master of Arts in Teaching or a Master of Science in Leadership. The MAT has a hybrid format with eight-week online courses that require students to attend three face-to-face meetings during the term. The Graziadio School of Business and Management at Pepperdine University offers an online Master of Business Administration (MBA) degree with four areas of concentration: finance, marketing, leadership and managing organizational change, and a general concentration. Students who choose the general concentration can expect to complete the program in six trimester (two years). Students who opt for one of the other concentration areas can take up to seven trimesters to earn their MBA. The Graduate School of Education and Psychology offers a Master of Arts (MA) in Learning Technologies program that can be completed 85 percent online. Face-to-face classes are held in the West Los Angeles campus. The program follows a cohort model of education, has a summer term start, and can be completed within one year. The school offers additional graduate-level degree programs that can be pursued partially online. About 40 percent of the required courses for the following degrees are available over the Internet: MA in Social Entrepreneurship and Change, Master of Science in Administration and Preliminary Administrative Services Credential, two Doctor of Education degrees (in organizational leadership and in educational leadership, administration, and change), and a Doctor of Philosophy in Global Leadership and Change. The Anderson School of Management at the University of California Los Angeles (UCLA) offers a Fully Employed Master of Business Administration (FEMBA) degree that follows a hybrid system of delivery. The program requires students to attend four weekend campus sessions per quarter (one weekend per month). The rest of the core requirements can be taken online. It typically takes 33 months to complete the FEMBA program. However, students can earn their degree sooner (27 months) by enrolling in additional elective courses after they have taken all their core courses. The Samueli School of Engineering and Applied Science at UCLA offers a Master of Science in Engineering (MSE) degree that can be pursued online. Students can choose to specialize in one of several fields such as aerospace engineering, manufacturing and design, mechanical engineering, and electrical engineering. Students can also customize their MSE program by enrolling in courses that support their professional goals. Additionally, by completing certain course sequences, students can participate in one or more certificate programs in specialized areas of study offered by other departments or schools at the university. UCLA's MSE degree has been ranked as the top online engineering program in the country by U.S. News & World Report (2016). The online Master of Business Administration (MBA) program at California Lutheran University follows an accelerated format that allows students to earn the degree in fewer than two years. The program is comprised of 15 courses (12 core courses and three electives), with each course lasting for eight weeks. Students must enroll in a capstone course in their final term in order to graduate from the program. Cal Lutheran also offers an online MBA in Financial Planning degree. Students complete the 16-course program by enrolling in eight general MBA courses and eight financial planning courses. The university offers an online Certificate in Financial Planning for students who already hold an advanced degree or certification (such as an MBA or a CPA) and who are interested in learning more about the financial planning field. The certificate program consists of eight courses, or 24 credits. Students who complete the program are eligible to take the Certified Financial Planner (CFP) certification exam. An online Bachelor of Science in Organizational Leadership degree is available through the university's Adult Degree Evening Program (ADEP). An interdisciplinary program, the BS in Organizational Leadership degree draws from several areas of study, including business administration, communication, psychology, and religion. Mount St. Mary's University Los Angeles offers online Associate in Arts (AA) and Associate in Science (AS) degrees in business administration (AA), pre-health science (AS), computer science (AS), and liberal arts (AA). The AS in Pre-Health Sciences program is designed for students who plan to pursue further studies in the healthcare field, such as nursing, physical therapy, or dentistry. The online Bachelor of Science (BS) in Business Administration degree has concentrations in management and in accounting. Two more baccalaureate programs complete the university's current online offerings - BS in Criminology and BA in Gerontology. There is one online graduate-level degree, which is the Master of Fine Arts (MFA) in Creative Writing. Bilingual courses are gradually being phased in, with plans to offer the entire MFA curriculum in Spanish as well as in English in the near future. Students currently have the option of writing their thesis in Spanish or English. Beginning in the fall of 2016, the university will be offering the Presidential Scholarship for Fully Online Students. Eligible students will receive a $100/ credit hour discount off the university current tuition rates. Students must maintain continuous enrollment and a GPA of 2.0 or better in order to qualify for and maintain the scholarship. Simpson University has two online degree-completion programs designed especially for adult learners and four graduate-level professional studies or seminary programs. Adult students who have completed general studies requirements may work towards their bachelor's in psychology or in organizational leadership. The undergraduate programs require students to take 12 online courses, each lasting five weeks, and to create a capstone portfolio. Students who transfer in 60 to 84 credits can complete the program in 12 to 16 months. Graduate level programs offered include a Master of Arts in Organizational Leadership, Master of Arts in Education, Master of Arts in Ministry Leadership, and Master of Divinity. The master's in organizational leadership is offered completely online and is designed for working professionals who have a setting where they can apply the leadership skills they develop in the program. Students seeking the education master's can concentrate in educational leadership or in curriculum. The ministry leadership and divinity programs have a flexible delivery system including online, hybrid, and polycom courses. In this format, some courses require students to attend a one-week intensive session either on campus or at an off-campus location. Because there are so many options, online degrees in California come with a huge number of questions. Is there a way to compare course offerings? What kinds of distance learning programs are most popular? How do I know if a California university is reputable or not? Where can I check regional accreditation? To give you some answers, we’ve developed a short guide to choosing an online program in California. Here you’ll find background on the state landscape, profiles of affordable programs, warnings about non-accredited schools, and links to useful websites. California gave birth to Coursera and Udacity, so it’s no surprise that the state has a huge amount of choice. Big players like Stanford and the University of Southern California (USC) have a sizeable online presence, and smaller schools are following suit. You can search for any online course at any college (public or private) and at any level (certificate, bachelor’s, master’s, etc.) in the state’s convenient California Virtual Campus (CVC) Distance Education Catalog. If you’re thinking of CSU, the system has a database of its online degrees on the Cal State Online website. Over the past few years, the state of California has pumped ten of millions into distance learning in its public education system, including programs for the University of California (UC), California State University (CSU), and California Community Colleges (CCC). These efforts are being studied at places like UC Berkeley’s Center for Studies in Higher Education (CSHE) and the Public Policy Institute of California (PPIC). We talk about a number of them in our section on Affordable Online Schools. In addition to Cal State Online, CSU also runs something called the Open University program on its various campuses. This allows folks who have not been admitted to a university (or who have been denied admission or are academically disqualified) to enroll in online or on-campus courses and earn college credits. Admittance is subject to the instructor’s permission and space available. Visit the website for more details. One of the state’s major aims is to help community college students enroll in online classes in order to earn associate degrees and transfer to four-year universities. That’s why its CCC Online Education Initiative (OEI) has all kinds of resources for faculty, students, and schools. And the “online path” can work! A 2015 report from the PPIC on Successful Online Courses in California’s Community Colleges found that “students who take at least some online courses are more likely than those who take only traditional courses to earn an associate’s degree or to transfer to a four-year institution.” What’s more, your chances of earning that associate’s degree will go up if you commit to your education. Students in the PPIC study who completed at least 60 units (online or on-campus) had a better long-term success rate. You may also notice that California has a large number of online degrees in business and IT, even at the community college level. Activity in Silicon Valley and advanced research at places like Stanford and UCLA is creating demand for corporate-savvy tech geeks, and universities are eagerly developing courses and programs. These are often pretty good. When you look at U.S. News & World Report rankings for Best Online Graduate Computer IT Programs, Best Online Graduate Engineering Programs, and Best Online Graduate Business Programs (Excluding MBA), you’ll usually find California universities on the list. These schools made both our “Top Online” and “Most Affordable” lists. That means they meet our stringent criteria for quality, flexibility, price, and use of financial aid money. (You’ll see a CAG Score next to their profiles in our ranking.) As a quality check, we also recommend a quick look at the school’s graduation rate and debt load on College Scorecard. All of CSUC’s online programs—including degree completion programs for nurses, teachers, and more—can be found on Chico Distance & Online Education. Online students have the same financial aid opportunities as on-campus students, including veterans benefits. Most course credit units will transfer to another institution, but CSUC recommends that you check with an advisor at your home campus to be certain. Like on-campus programs, CSUF’s Online Degrees & Courses qualify for financial aid. The undergraduate programs are tailored to community college transfer students, military service members & spouses, and/or professionals looking to complete their bachelor’s degree. The online graduate programs and professional development certificates are more wide-ranging. Details on departmental financial assistance can be found on individual degree webpages. If you’re looking for an intersection of affordability & quality, it’s worth knowing that CSUF is particularly strong in U.S. News & World Report rankings for online graduate engineering and business programs. That means you can get a lot of academic reputation for a low sticker price. SDSU’s College of Extended Studies (CES) has descriptions of the university’s distance learning offerings, including a list of states where SDSU is authorized to offer online degree programs. CES also has benefit info for Military and Veterans and details on financial aid programs (e.g. Workforce Development). Like CSUF, SDSU is worth considering for quality + affordability. For example, although graduation rates for most CSU schools tend to hover in the 40%-55% range, College Scorecard notes that the rate for SDSU is well above its peers. SDSU also has a high level of research activity, especially in areas like science, health, and entrepreneurship. SJSU’s College of International and Extended Studies handles the school’s online offerings, including certain professional degree programs, high demand online courses for current SJSU students, and the Open University. Check the State Authorization for Distance Education page if you live in another state and are thinking of completing a SJSU degree or certificate program. To get a sense of the school’s online certificate courses and programs, you can visit UC Berkeley Extension and its department of Student Services. This provides info on course credits, transfers, and costs. Financial assistance is not available for online programs or courses, but discounts on Extension courses are available for UC alumni and UC Berkeley faculty & staff. UC Berkeley also offers free MOOCs through edX. Thinking of earning a two-year degree first? In 2016, UC Berkeley has partnered with the online university UoPeople (UoP) to allow top-performing UoP graduates with an associate’s degree transfer to a UC Berkeley bachelor’s program. Priority is given to residents of California. UC Berkeley qualifications tend to garner respect. The university is often at the top of the U.S. News & World Report rankings for Top Public Schools and it’s very strong in business, computer science, and engineering. Better yet, College Scorecard notes that it has an excellent graduation rate (90%+), reasonable student debt figures, and a high number of graduates paying down that debt 3 years after graduation (90%+). UCLA Online is the main hub of the school’s distance learning courses and degree programs, including the MBA and MS in Engineering. However, info about certificate programs, transferable undergraduate degree-credit, and continuing education credits is listed on UCLA Extension. UCLA Extension programs qualify for financial aid, including loans, grants, scholarships, discounts, and veterans benefits. Your course choice is not limited to UCLA alone! Through cross-campus enrollment, UCLA allows students to take online courses across the UC system. All online courses earn UC unit credit. UCLA Extension courses can also qualify for academic credit and CEUs. UCLA is a deeply respected school. U.S. News & World Report frequently ranks UCLA in the top 3 of Best Online Graduate Engineering Programs, and College Scorecard reports high graduation rates and median salaries for federal aid beneficiaries. Please be very careful when you’re considering an online degree—California is full of unaccredited diploma mills and bogus schools that look like the real thing. The first thing to check for is national or regional accreditation. Even though national accreditation applies to distance learning universities, regional accreditation is the gold standard. Universities: The Western Association of Schools and Colleges (WASC) Senior College and University Commission is the main regional accrediting body for public and private higher education institutions in California. You can search WASC’s Institutions Database to find out which California schools offering online programs are a) not regionally accredited or b) Accredited on Probation, Accredited on Warning, or Accredited with Notice of Concern. Community Colleges: WASC’s Accrediting Commission for Community and Junior Colleges, Western Association of Schools and Colleges (ACCJC) accredits community colleges and other associate degree-granting institutions. If you are going to a California community college, you might wish to look at ACCJC’s recent Actions on Institutions. Each month, the ACCJC reports on institutions that have been issued warnings or had probation imposed. California Competes: Another useful resource is the Accreditation Documents Database on the California Competes (CC) website. This lists each school’s regional accreditation status and posts accompanying accreditation documents (e.g. Visiting Team Report). You can filter your results by UC, CSU, California Community Colleges, Independent, and the Private Sector. The CC database is not updated as frequently as WASC or ACCJC, so we recommend you visit those two websites first. You can cross-check the results using the Council for Higher Education Accreditation (CHEA) Database. We also discuss some of the schools with accreditation issues below. AAU is a for-profit university in San Francisco and it was Accredited with Notice of Concern by WASC in 2016. According to College Scorecard, overall graduation rates for this university are very low. In 2015, Forbes reported that the graduation rate for online-only students was 6%. In 2016, the City of San Francisco sued the Academy for alleged real estate permit violations. ALU does not appear in College Scorecard or the CHEA Database, and it holds no recognized national or regional accreditations. AWU does not appear in College Scorecard or the CHEA Database, and it holds no recognized national or regional accreditations. It has no physical campus. BIU does not appear in College Scorecard or the CHEA Database, and it holds no recognized national or regional accreditations. This school is accredited by the Accrediting Commission of Career Schools and Colleges (ACCSC), but not WASC. College Scorecard reports low graduation and debt repayment rates. In August 2016, the U.S. Department of Education rejected a request from the Center for Excellence in Higher Education (CEHE) chain, which includes California College San Diego, to make its schools non-profit for Title IV financial aid purposes. In 2016, CEHE was sued by a former employee regarding accreditation violations. CPU does not appear in College Scorecard or the CHEA Database, and it holds no recognized national or regional accreditations. CULA does not appear in College Scorecard or the CHEA Database, and it holds no recognized national or regional accreditations. FTU does not appear in College Scorecard or the CHEA Database, and it holds no recognized national or regional accreditations. A branch of FTU, Frederick Taylor International University, was incorporated in Hawaii but it was closed by court order. You can read about the school’s business practices in this New York Times article. Hollywood College does not appear in College Scorecard or the CHEA Database, and it holds no recognized national or regional accreditations. Innovation University does not appear in College Scorecard or the CHEA Database, and it holds no recognized national or regional accreditations. This is not to be confused with the ACICS-accredited Silicon Valley University (SVU), although SVU has also come under scrutiny for its international recruitment. IAU does not appear in College Scorecard or the CHEA Database, and it holds no recognized national or regional accreditations. NIU does not appear in College Scorecard or the CHEA Database, and it holds no recognized national or regional accreditations. In 2009, NIU was forced to leave Wyoming after the state regulated that all private higher-education institutions needed to seek federally recognized accreditation within five years. Newport University does not appear in College Scorecard or the CHEA Database, and it holds no recognized national or regional accreditations. This school does not appear in College Scorecard or the CHEA Database, and it holds no recognized national or regional accreditations. The JD program is not accredited by the California State Bar or the American Bar Association. In 2015, the Los Angeles Times reported that this school had extremely high drop-out rates. This school does not appear in College Scorecard or the CHEA Database, and it holds no recognized national or regional accreditations. It is accredited by the Committee of Bar Examiners of the State Bar of California, but it is not approved by the American Bar Association. This for-profit school does not appear in College Scorecard or the CHEA Database, and it holds no recognized national or regional accreditations. In 2011, the California Bureau for Private Postsecondary Education (BPPE) denied Preston University’s application to operate in California. Sofia is a for-profit school in Palo Alto. It was Accredited with Notice of Concern by WASC in 2016. Data for Sofia University are not listed on College Scorecard. In 2014, the Institute for Higher Education reported on the school’s ailing finances and controversial governance. This school does not appear in College Scorecard or the CHEA Database, and it holds no recognized national or regional accreditations. This school should not be confused with Union University in Tennessee, which is regionally accredited. USU is a for-profit school in San Diego. It was Accredited with Notice of Concern by WASC in 2016. College Scorecard reports a very low graduation rate for this school. In 2013, the university agreed to a $686,720 civil settlement over federal financial aid fraud charges. This school does not appear in College Scorecard or the CHEA Database, and it holds no recognized national or regional accreditations. This is registered as a private high school in the California Department of Education’s School Directory. This school does not appear in College Scorecard or the CHEA Database, and it holds no recognized national or regional accreditations. In 2015, the New York Times reported that this university website was linked to to Axact, a fake academic degree operation in Karachi, Pakistan. California Competes (CC): CC is a project of The Opportunity Institute, a non-profit focused on better educational opportunities. The CC website often features reports on issues such as accreditation, access, and affordability. Check out its Reports Publications. WASC Senior College and University Commission (WSCUC): This is the standard regional accrediting body for four‑year institutions in California. You can use its website to search for accredited institutions throughout California (use the Modality dropdown to specify schools providing Distance Education). WASC Accrediting Commission for Community and Junior Colleges, Western Association of Schools and Colleges (ACCJC): ACCCJC provides regional accreditation to California community colleges and associate degree-granting institutions. Online Education Initiative (OEI): Funded by the California Community Colleges Chancellor’s Office, OEI is a collaborative effort among California Community Colleges (CCCs) that aims to increase access to—and success in—high-quality online courses in California schools. Check out its section on Student Success Resources. WICHE Cooperative for Educational Technologies (WCET): WCET’s primary goal is to improve the quality and reach of e-learning programs by bringing together colleges and universities, higher education organizations, and companies. It gives WCET Awards to schools and educators using online technology and publishes all kinds of reports on distance education. Cal State Online: California State University has a centralized website listing of all its hybrid and online undergraduate and graduate programs. You can search by campus, degree level, or area of interest. California Virtual Campus: CVC’s Distance Education Catalog allows you to search for online classes and degree programs offered by colleges and universities across California. The website also includes links to career and distance education resources in California. UC Online: The University of California maintains a catalog of lower-division courses taught by UC faculty for course credit to both UC and non-UC students. If you’re looking for a degree, you may wish to check out UC’s Extension Schools.